Proven in IT and Telecoms. We provide you with advice, guidance, solutions and support on all aspects of IT and Telecoms including Cloud based technology. We have provided 1000’s or organisations with Phone Systems in Kent, Sussex and London. Also, if you are looking for Computer and IT Support, you have come to the right place. Dealing with us will improve your life. To find out why, see our Why Us page. If you own our manage a business or organisation in Kent, Sussex or London with up to 100 employees, you are our speciality and we can bring huge value and benefit to you like no one else. Indeed, we will help you to survive and thrive as an organisation by offering a uniquely valuable perspective. We will help you navigate alternatives, avoid or manage risk, educate you on opportunities and deliver award-winning service, support and solutions. To fill our days and those of our customers with a positive impact underwritten with understanding, integrity, effort, professionalism, fun, personal development and improvement, focusing on service excellence. 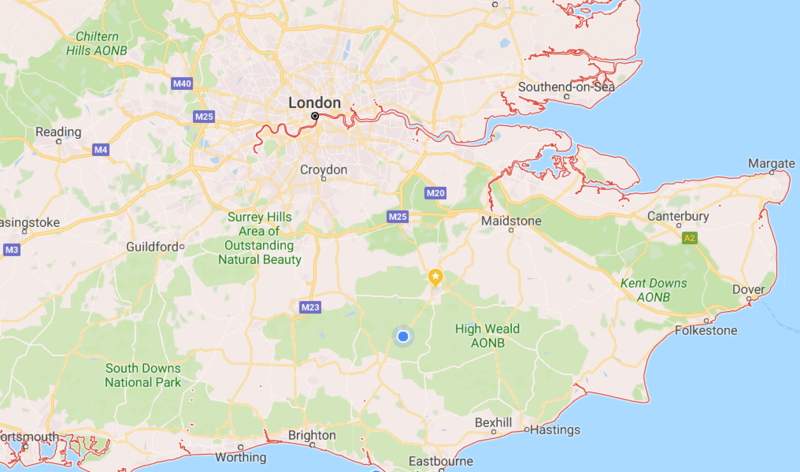 Our aim is to be THE BEST in the world at servicing Small to Medium Sized Businesses and Organisations with IT and Telecoms services in Kent, Sussex and London – that is our focus. The telecoms landscape is so confusing for most people. And it’s not surprising. With so few barriers to enter the marketplace, the telecoms world is full of choices. So where do you start? Start with talking to us and we will help you understand what your options are and help you to make the right choices and support you over the long term. We have vast experience with AVAYA IP Office, Mitel, Gamma Horizon, VoIP and SIP Trunks. Our expertise is in technology. This covers the huge spectrum of IT services and support, Telecommunications, Internet, Print and Document Management and PC and MAC support. You are the focus. We want to make your tech work. We can provide unlimited support via our Managed IT Service on a contracted basis or pre-paid upfront credits – all managed through our helpdesk and ticketing system – our average first time response is around 10 minutes. Whether you want to move your IT and Telecoms to the Cloud, we can help and support you. We demystify the whole Cloud thing for our customers. The Cloud brings simplicity and so do we. Let us assess your organisation and the suitability of cloud embracement and whether it fits. We regularly move customers from premises-based servers to cloud services like Microsoft Office 365 and Exchange Online, removing the need for expensive local hardware and software. Patrick ran a small business in Kent providing Air Conditioning and Heating solutions. He was faced with a problem. His File Server was edging towards the end of it’s life. It was also nearly at capacity and he was faced with a large bill to sort it out. They were also using some very clunky systems for their emails and engineering calendars. He and his partner Steve had seen various IT providers but were confused and not comfortable with what they had been advised. Different providers came up with different suggestions, which made it more difficult. Patrick had dealt with Nick Brandon for 2 previous phone systems (including his current hosted phone system) and noticed that Nick was also providing IT and Telecoms advice. So he phoned him up and arranged a meeting. Nick and Adam from tecwork went to see the partners and came up with a sensible and cost-effective solution. This involved migrating away from their premises-based server to the Microsoft Cloud, using a combination of Microsoft Hosted Exchange, Sharepoint and OneDrive (even though they all used Apple Macs). Patrick and Steve were really happy that they had found people that were easy to talk to and knowledgeable. The upgrade was done over a weekend and all the staff came in on Monday and could continue with their work. They also got one-to-one training on the new set up. Does this sound familiar…? Could you benefit from a Managed IT Service? Patrick’s story is not uncommon. We find that so many smaller organisations really don’t get the care and attention they need in terms of their IT and Telecoms. Providers are quick to come and see them and recommend solutions but often we find they talk jargon and don’t really explain things well to the customer. Even worse, they commit the cardinal sin. In order to recommend a solution to a problem, you have to fully understand the problems the organisation is facing and understand how they work and what their objectives are – what they really need. So rather than going into a situation with pre-conceptions on the circumstances and likely solutions, we always see customers with an open mind and ask lots of questions. Once the solution is installed, we also make a special effort to be proactive. Most suppliers seem to ‘take the money’ every month and just react to problems. We make a special effort to keep in touch with customers and regularly review things so the IT and Telecoms solutions are optimised and up-to-date. You need our support on IT and Telecoms because..
You need smart business solutions but also simplicity. Also, you demand the latest technology but also reliability. Your organisation would benefit from high-spec, delivered competitively. It is likely that you would prefer industry experts that don’t cost the earth. Like most people, you want business tools and processes that just work. Of course, you need support when you need it with simple billing and a single point of contact. We want your IT and Telecoms business because..
We want to deal with and support quality businesses and organisations in and around Kent, Sussex and London and we love helping people with their business problems and pains. Our business is growing and want to grow even more and we love building long-term relationships with our customers. In addition, we love making a positive impact to the world and business. That’s right – we are never far away from our customers so we can react fast when you need us. Plus we have maintenance stock nearby when needed. We don’t stretch ourselves to maximise profits at the expense of service excellence. We stress again – our focus is on IT and Telecoms support including Phone Systems for Small Business in Kent, Sussex and London. This is why you should consider tecwork for your Telecoms and IT. Experts in IT and Telecoms since 1994. “We look forward to working with you and your team Nick. You guys stood out in the tender process and we are excited to be working with you.” – Chris Sills, Sales Director – SOS Systems. Superbly knowledgeable having helped and supported 1000’s of organisations in Kent, Sussex and London with IT and Telecoms. Constantly delivering WOW FACTOR service, support and pro-active account management. Benefit to you – you can focus on running the business without being distracted by service issues and staff not being able to work effectively. We are using the tools in our business that we install for customers. Everything is bespoke as no 2 organisations are the same. Trusted by 1000’s of organisations since 1994. Benefit to you – you get a good solution built around reliability and service excellence, like so many other people in a similar position to you. Benefit to you – you get proven solutions without the risk of niche products – tried, tested, market-leading products. Benefit to you – getting something extra from your supplier makes all the difference – you are getting real value and return on investment. Experts in everything Voice, VoIP, Cloud and Technology since 1998 and your natural choice for Managed IT Services! Providing business with advice, solutions, services and support on Technology, Telecoms and IT.